Enhance your vehicle with a set of Ford black platinum door sills. These are a perfect accessory to add to your ford for a finishing touch. Protect your vehicle from damage caused from the daily wear and tear of entering and exiting your vehicle with ford door sills. Install the Ford black platinum door sills with ease. The sills are backed with 3m adhesive tape so there is no drilling required, simply place and stick for fast and easy installation. Don't worry about the sun wearing them out. These door sills are UV stable, meaning they are not going to fade. Go with the Ford black platinum door sills for your vehicle. They will add a great addition to your vehicle that is durable and will last. Putco door sill plates are backed by a limited lifetime warranty. If you have any questions please give our amazing customer service a call at 877-216-5446. 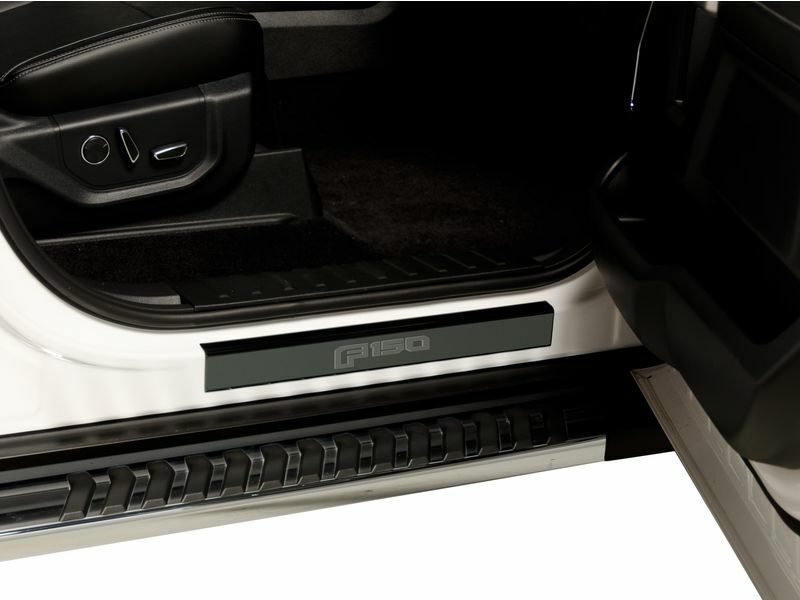 Easily install the Putco Ford black platinum door sills by following the installation guide. For questions give us a call at 877-216-5446.